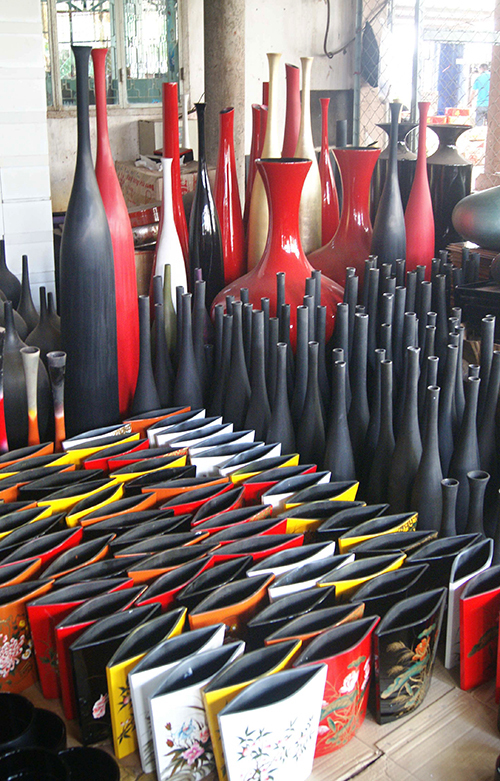 Tuong Binh Hiep is one of the most well-known lacquer villages in southern Vietnam. 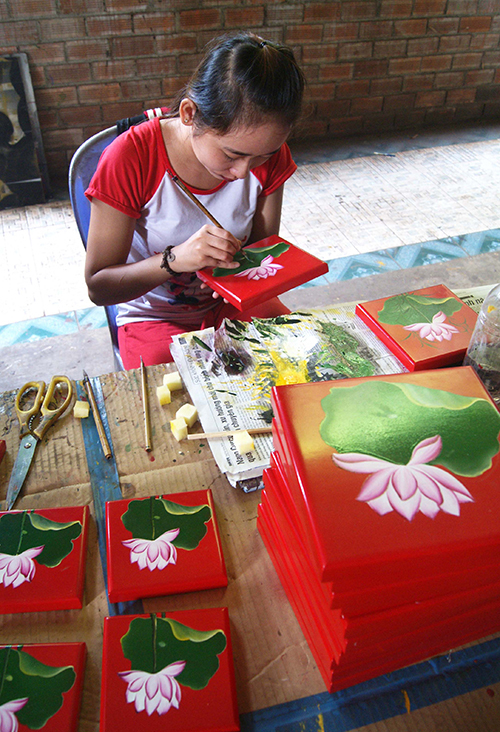 In southern Vietnam, lacquer painting as a profession emerged in the 18th century. 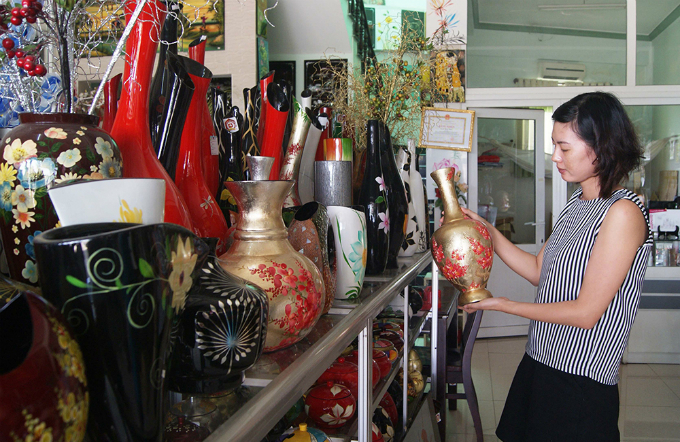 In Binh Duong Province, there is a village famous for its lacquer products called Tuong Binh Hiep. 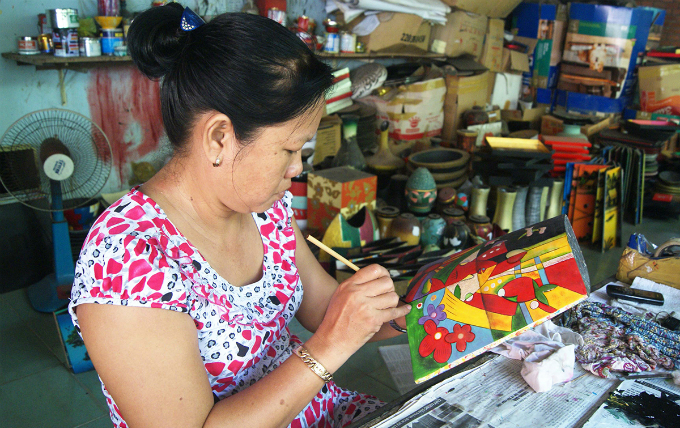 The village saw many great artisans and teachers contribute to the development of lacquer art. 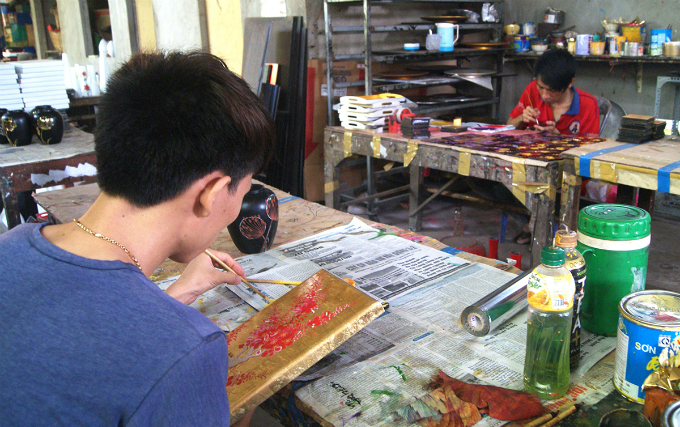 A lot of lacquer businesses mushroomed here, making Tuong Binh Hiep famous for lacquer painting. 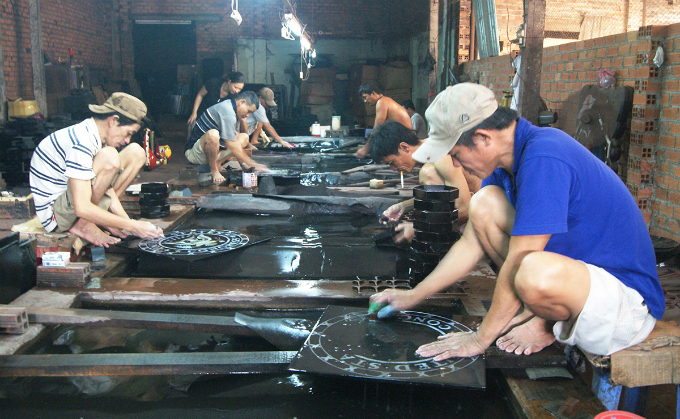 In this picture artisans are polishing the boards for painting. 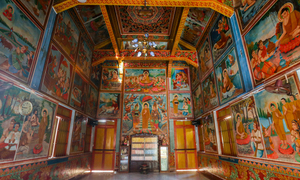 The lacquer products here are diverse since they are crafted and painted using a variety of methods. 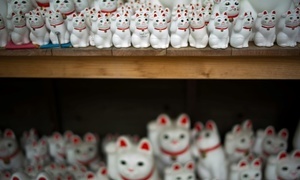 Creating a lacquer product involves a total of 25 steps. 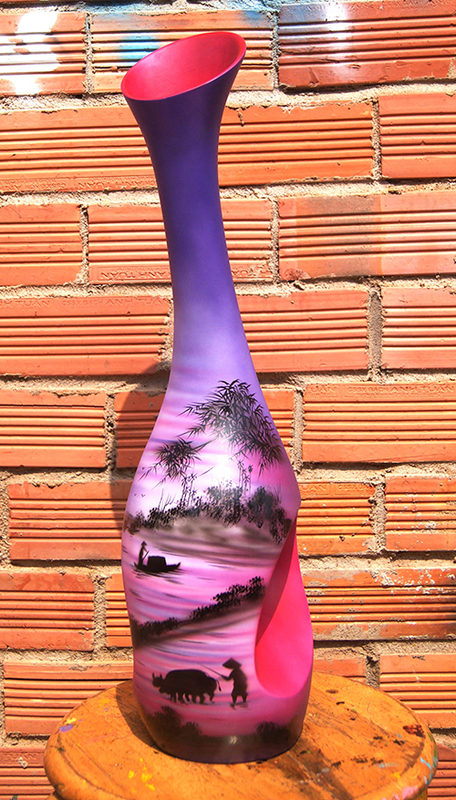 Each lacquer product made in Tuong Binh Hiep is a highly esthetic work of art as the artisans pour their heart and soul into their craft. After they are made, the products are carefully checked for flaws. 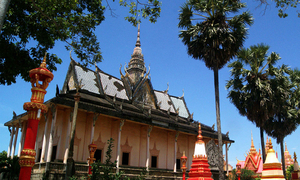 Besides traditional products like lacquer on oyster shell and egg shell, there are also many other varieties like lacquer on bamboo, cork or bark that have been well-received in Vietnam and foreign markets like the U.S., France and the Netherlands. The authentic beauty of Tuong Binh Hiep’s lacquer has been preserved by generations of artisans, with the sophistication, elegance and serenity in each product saying it all. Tuong Binh Hiep’s lacquer products can withstand the cold weather in European countries without peeling or otherwise deforming, according to experts. 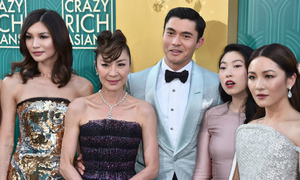 Their prices can range from hundreds of thousands of dong to millions. 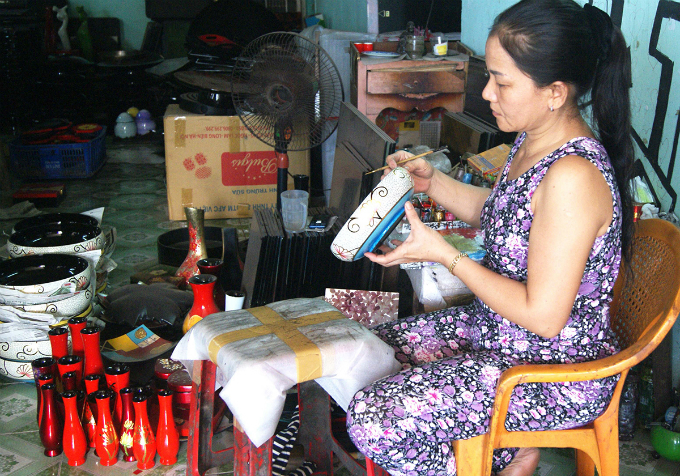 Visitors to Tuong Binh Hiep can take a tour to see how the products are crafted and buy some as souvenirs.